Join us as we celebrate First Friday and the Downtown Geology Tours kick-off at Mountain Sports Flagstaff. As a 1% for the Planet Program partner, Willow Bend will be receiving 10% of sales that evening. So come out, sign-up for FREE tours, buy high quality outdoor clothing, enter the raffle, and support our environmental education programs. 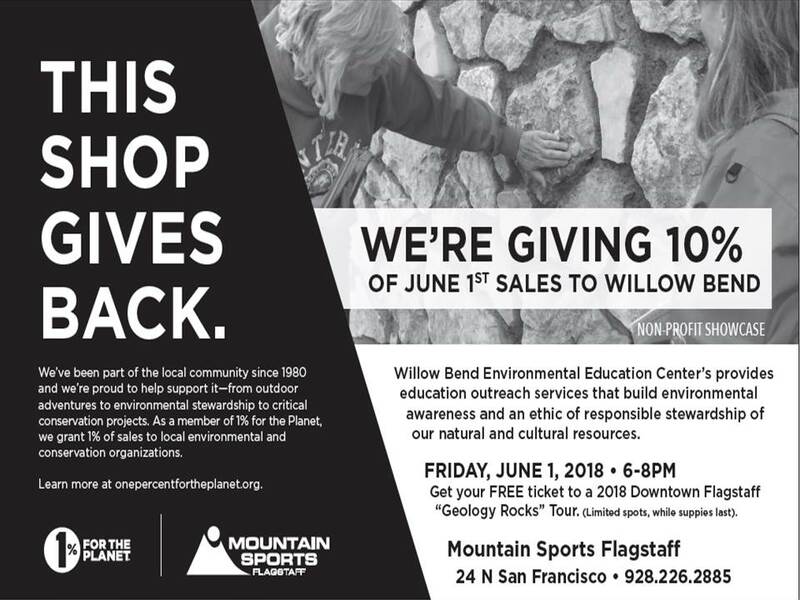 Willow Bend staff and volunteers will be tabling at Mountain Sports and have fun hands on geology activities, information, and a raffle.